Our immune systems aren’t perfect. The immune system is a complex beast. It often does a fantastic job of fighting dangerous pathogens, preventing microbes from infecting and harming you. But it’s not infallible. Cancer cells can squeeze past undetected, for example. And sometimes the immune system can go into overdrive: In an attempt to fight whatever infection you have, it over produces certain proteins and chemicals that can harm healthy cells. During pregnancy, there’s even more at stake. This overwhelming response can affect a developing fetus, and some research suggests that a particularly intense immune reaction during gestation—what’s called maternal immune activation (MIA)—might increase the risk of neurodevelopmental disorders like autism. But for a long time, scientists couldn’t figure out a mechanism. What was happening on a cellular level that would allow immune cells to increase the risk of these conditions? In a set of twomice studies published this week in the journal Nature, a team of scientists have laid out one potential process: A specific kind of bacteria in the mouse gut helps trigger the immune system to produce certain inflammatory cells, which cause an area of the somatosensory cortex in the mother’s offspring to exhibit signs meant to mimic autism and similar disorders in humans. This is the first time researchers have identified a potential mechanism for this phenomenon. However, the researchers will need to perform many additional studies to truly understand the pathway they've uncovered. And given that the research was conducted on mice—which have relatively similar physiology to humans, but of course aren't quite the same—even more studies will be required to show that we're prone to the same process. The team of researchers had previously shown that the presence of an immune protein called interleukin 17a in mice could trigger autism-like disorders in their offspring. But the mechanism through which this protein did its work wasn’t clear. In this study, the scientists found that the presence a group of microbes called segmented filamentous bacteria in the gut led the immune system to create more interleukin 17a proteins. Mice that lacked interleukin 17a didn’t experience MIA, and mice that were given antibiotics didn’t show signs of it either. Using optogenetics (which genetically alters proteins so that they respond to light signals), the researchers were able to bring out these kinds of behaviors in mice that had not experienced MIA by activating a particular region of the brain. In mice that had undergone MIA, inhibiting neural activity in this area stopped the behaviors. So what does this mean for pregnant women? First of all, MIA isn’t the run-of-the-mill immune response that someone could get from an everyday cold. The experiment mimics a severe viral infection, says lead author Jun Huh, a microbiologist at the University of Massachusetts School of Medicine. 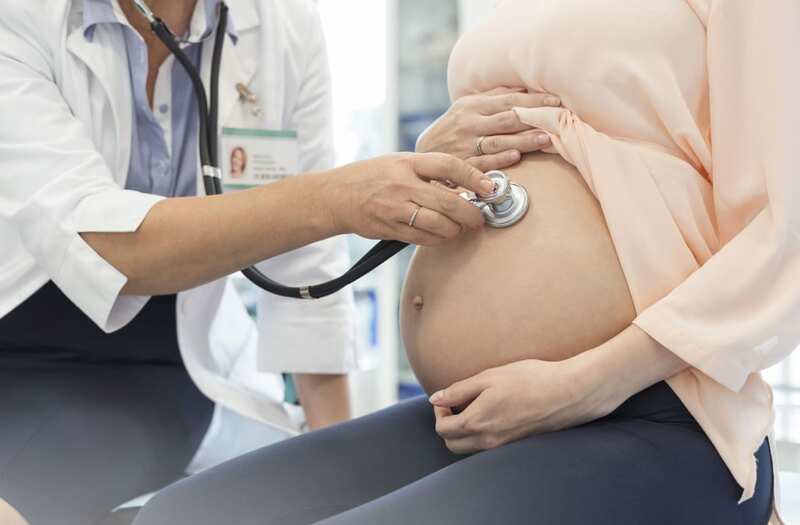 He says that epidemiological studies show that maternal hospitalization during late first trimester or second trimester is associated with the diagnosis of these disorders. But it's too early to know how significant an effect MIA could have on fetal developmen compared to other known factors, like genetic predisposition. But Huh has a gut feeling that environmental factors could play a significant role. He thinks perhaps they create a synergistic effect with genetic predispositions, such that neurodevelopmental disorders can only develop when several of them are present. Yes, humans are still evolving. Here's how you can tell.